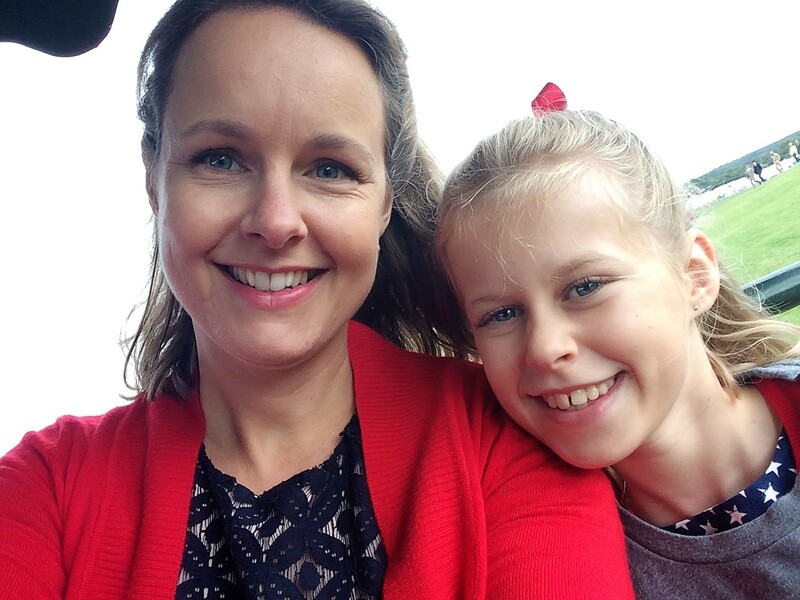 I enjoy planning and putting on parties for my children and searching for ideas. Pirate themed parties are always a winner and even the grown-ups can grab an eye patch and enter into the party spirit! Here’s some of the things I did for my son’s pirate party and a free treasure hunt printable to help keep the young swashbucklers from looting the kitchen! I always plan a craft activity for parties. For a pirate theme buy plain wooden treasure chests, provide pirate stickers, pens and stick on gems, make it nice and easy for little fingers. In the UK you can buy the chests and stick on gems from Crafty Crocodiles. 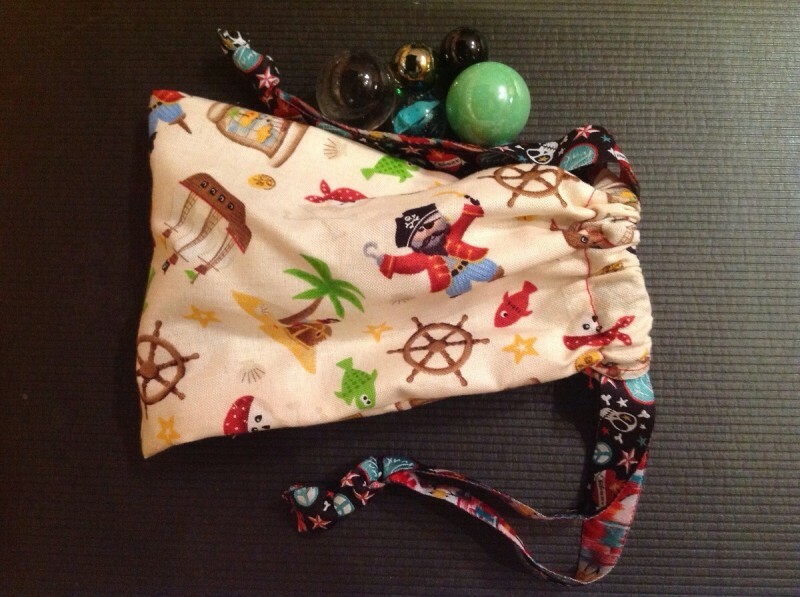 They also do pirate themed party bag goodies. We then did a treasure hunt. 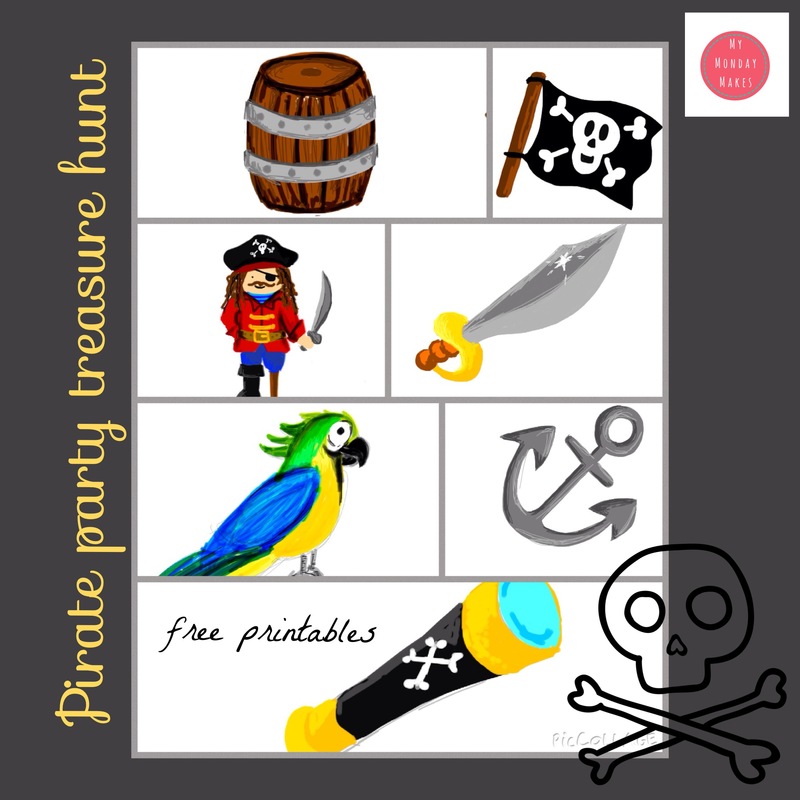 Print the Instructions for treasure hunt and then the Pirate treasure hunt pictures. If you need to make a treasure chest there’s a printable here by Missie Krissie. You can’t beat Jake and the Neverland Pirates album for some good pirate tunes, at least the lyrics are appropriate! 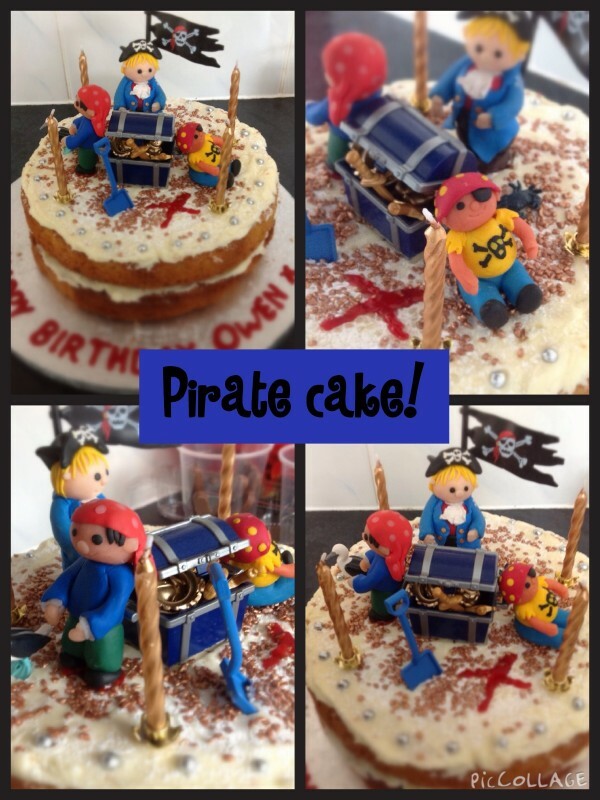 I made Fimo pirates and added some Playmobil accessories to the birthday cake. 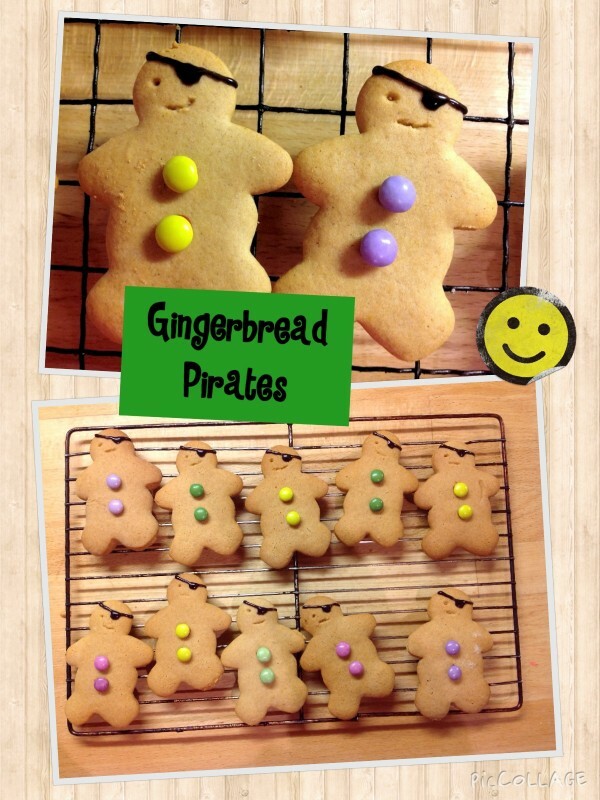 Gingerbread pirates were nice and easy to decorate and there are plenty of pirate cake toppers available on-line, such as these ones here. I decided it would be nice to make little bags for marbles as party favours. I found some pirate fabric and got sewing. They are easy to make and you can find some instructions on the lovely Kittie Baby Love blog here. 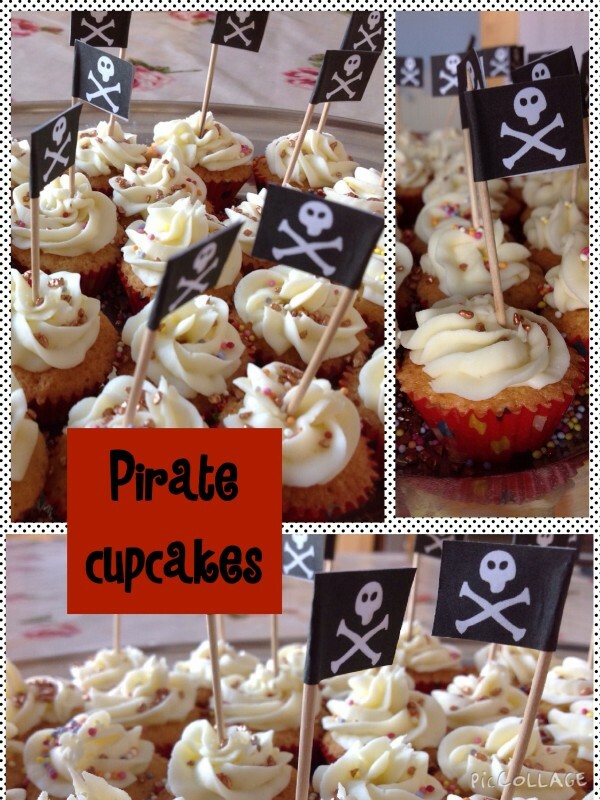 Enjoy planning your pirate party – make the most of parties while they still want them!